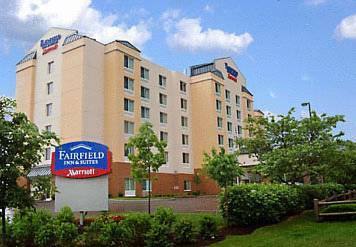 When traveling to the Lexington Newtown area for business or fun, Fairfield Inn & Suites by Marriott Lexington North is the ideal hotel for you. We look forward to accommodating travelers in the most spacious guest rooms and suites in the area only 4 miles to Downtown Lexington. The hotel is within a 5 minute drive to the UK Coldstream Research Campus, Lexmark, & Toyota. Lexington is known for The Kentucky Horse Park, University of Kentucky, Keeneland & the historical KY Bourbon Trail. As the closest hotel to the Kentucky Horse Park, located just minutes to Downtown Lexington and the University of Kentucky Campus and Hospital, be sure to take in the sights while here! Enjoy a hotel experience you're looking for. Business travelers, families, sporting teams & fans receive a courteous welcome at check-in and enjoy conveniences of being productive while on the road. There's no denying that the Lexington North Fairfield Inn & Suites is the best value in town. Believe in Fairfield Inn.